This book is Yasuko Thanh’s debut novel, and was the winner of the 2016 Rogers Writers’ Trust Fiction Award. 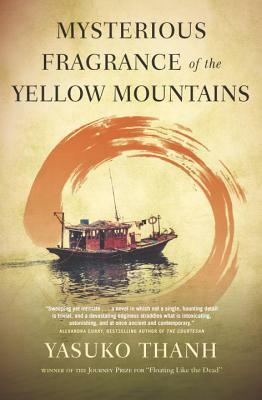 The story takes us to Vietnam in the early 20th century when the French were in control. I don’t think I’ve ever read a book about Vietnam that didn’t take place during the Vietnam war. Dr. Georges-Minh is our guy. He’s well-off, but thinks his life would be easier if he wasn’t. He feels guilty about what his French connections have done for him, and finds himself involved in a group of men plotting against the French. Georges-Minh has a medical degree from the Lycée Condorcet, Paul Verlaine’s University. What he owes to the French, and how they’ve f*cked up his country, together carve rifts in his psyche, and he is slowly going mad. This book is full of poverty, politics, and prostitutes. It is well-written and engaging. The only thing I found missing from it, for me, was a sense of time. I had to keep reminding myself that it was 1908. But, then again, I don’t claim to know what Vietnam was like in 1908, or any other time. Yasuko Thanh is definitely a writer to watch. Our country is in crisis… Men abandon their families and leave their wives in charge of feeding the children. The women have no money and they do what they must to survive. This country was the possession of the Chinese, and now is the mistress of the French. For a thousand years we’ve lived under the dominion of others. It’s why everyone’s going mad. This book starts out with the MC, Daniel, on a plane that is crashing. And it’s really crashing. It’s somewhere over the ocean and he’s watching everything just fly out – magazines, bags, seats, people, and his comic books (which come to play a part in his predicament). But before he falls to his death, the world freezes and he finds himself hanging out in mid-air, alone. The rest of the book bounces back and forth between memory flashbacks of his life up until this point, and trying to figure out why he is stuck and what to do about it. The writing is excellent. 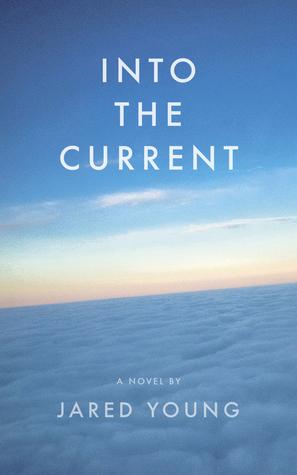 I was surprised to learn that Into the Current is Jared Young’s first book. Young was able to make me feel and experience every detail, like when he describes eating an orange on page 363. And there are some beautiful and insightful passages, like his memory of being held as a baby by his mother on page 205. The originality. I really had no idea what was going to happen, which is another thing that kept me reading. I thought the book was too long. There is a lot of detail, a lot of which was great, but some of which I could have done without. It might seem absurd, all these dumb trivialities and their cumulative power. But just you wait and see – it will all be the same for you, too. You will write Homeric epics about the contents of your grade-school lunchbox; you will write operas about your Saturday morning fugues in front of the television; you will expend a billion breaths trying to describe the brightness that another person’s smile can ignite in the dim depths of your belly. That’s the great paradox of being alive: even though it doesn’t matter, it does matter, it will matter, it has mattered, every single crumb and twitch and exhalation. … this is the great tragedy of human life: no other person will ever fully understand what it is to be you; they’ll only ever know the abridged, desaturated, second-hand versions of our most important stories. There’s a lot to like and a lot to talk about in this book, and I’m looking forward to seeing what Jared Young comes up with next. Buried in Print – “this debut novel will make your head spin”. *Thank you to Goose Lane Editions for providing me with a copy of this book for review! Thanks to C.J.’s readalong at ebookclassics, I finally picked up this old favourite for a re-read. Because this book has been around a while and many of you have likely read it, I’m going to keep this short and sweet. Alias Grace is based on the story of Grace Marks, a Canadian maid who, at the age of 16, was convicted in 1843 for the murder of her employer and suspected of the murder of his housekeeper. 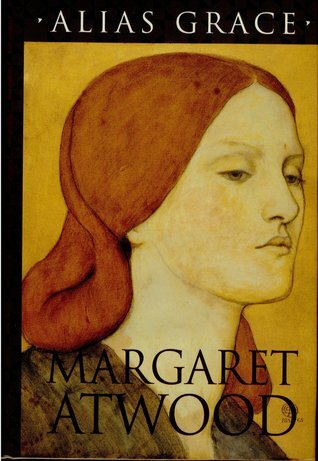 Atwood first encountered the story of Grace Marks through Susanna Moodie’s book, Life in the Clearings (1853), in which she wrote about her ‘meetings’ with Grace in the Penitentiary and the Lunatic Asylum. I love the historical aspect of the novel, but most of all, I love the writing and the wit. In case you haven’t yet read this wonderful book, I’ve chosen a few passages to tempt you. I don’t want him to see my hunger. If you have a need and they find it out, they will use it against you. The best way is to stop from wanting anything. People dressed in a certain kind of clothing are never wrong. Also they never fart. What Mary Whitney used to say was, If there’s farting in a room where they are, you may be sure you’ve done it yourself. Dr. Jordan sits across from me. He smells of shaving soap, the English kind, and of ears; and of the leather of his boots. It is a reassuring smell and I always look forward to it, men that wash being preferable in this respect to those that do not. What he has put on the table today is a potato, but he has not yet asked me about it, so it is just sitting there between us. I don’t know what he expects me to say about it, except that I have peeled a good many of them in my time, and eaten them too, a fresh new potato is a joy with a little butter and salt, and parsley if available, and even the big old ones can bake up very beautiful; but they are nothing to have a long conversation about. Some potatoes look like babies’ faces, or else like animals, and I once saw one that looked like a cat. But this one looks just like a potato, no more and no less. Sometimes I think that Dr. Jordan is a little off in the head. But I would rather talk with him about potatoes, if that is what he fancies, than not talk to him at all. I can remember what I said when arrested, and what Mr. Mackenzie the lawyer said I should say, and what I did not say even to him; and what I said at the trial, and what I said afterwards, which was different as well. And what McDermott said I said, and what the others said I must have said, for there are always those who will supply you with speeches of their own, and put them right into your mouth for you too; and that sort are like the magicians who can throw their voice, at fairs and shows, and you are just their wooden doll. And that’s what it was like at the trial, I was there in the box of the dock but I might as well have been made of cloth, and stuffed, with a china head; and I was shut up inside that doll of myself, and my true voice could not get out. He doesn’t understand yet that guilt comes to you not from the things you’ve done, but from the things that others have done to you. Alias Grace is coming to Netflix. Have you read any good debuts lately? What have you been re-reading? Great reviews, as always!!! This inspires me to move Alias Grace up my TBR pile. It was one of the books that I got signed in the fall. I want to reread The Handmaids Tale also so that I have them both read before I watch the movies. Yes, do it! Especially if it’s your first time reading it. I love every word. It’s exciting having both books being made into movies/shows, isn’t it? It is great to have CanLit featured in film! i wish that i had bought a copy of the Handmaids Tale for signing when I met Atwood in the fall. Great reviews. I have Alias Grace on my TBR. I hope to read it this year. The Jared Young book looks good. Is it coming on Netflix? I hope I can read it before that. I love the premise of the novel. But yes, I do not like big books. And also, the end is inevitable, right? It’s only Alias Grace that’s coming to Netflix, so you might want to bump that one up. It’s a long book, too, but it doesn’t feel long (at least it didn’t to me). It’s the kind of book that I was sad to have end. I had looked at Into the Current but from your description it sounds like an idea that might have been better in a much shorter format. I tend to agree with you – I would have preferred it to be shorter. But I think there are many things about it that are worth reading it for. I was impressed with the writing, for one! I loved Alias Grace and thought that Hannah Kent’s Burial Rites owed a lot to it. Into the Current sounds very appealing but my heart sank when I saw a page reference of 363! I’ve never heard anyone say that about Burial Rites before. Now I really feel an urgency to read it! The Thanh book has such a beautiful title! I am terrible at re-reading because I always have an eye to what’s new. However, having recently forced my husband to read The Blind Assassin and then felt smug when he too thought it was brilliant, I’d like to reread it. A recent book that reminded me of Alias Grace was His Bloody Project by Graeme Macrae Burnet (from last year’s Booker Prize shortlist). Well, I guess I’ll have to read The Bloody Project! So true – I’ve definitely never read a book about Vietnam that wasn’t set during or focused on the war! And I read my first Atwood (Handmaid’s Tale…obviously) 2 Christmases ago and have been wanting to fit in my 2nd (and wondering what it should be). And – it’s not definitely going to be Alias Grace! I would definitely recommend it as your second Atwood – it and The Handmaid’s Tale are my two faves! There were so many great passages from Into the Current that I would like to have included. If it appeals to you, you should definitely pick it up. I’d love to hear your thoughts on it! Oh I would like to do a re-read of Alias Grace. I remember liking it very much, but it’s been a long while. Have you read Moodie’s book that its inspired by? I wonder if that is interesting. I’m intrigued that Sarah Polley is making Alias Grace into a miniseries. I will check it out! I read Moodie’s Roughing it in the Bush last year, but not Life in the Clearings. Someday I hope to, but I wanted to spread them out a bit. I love how Atwood includes bits and pieces from Moodie’s book, and from newspaper and letters of the time into her novel! The Thanh sounds excellent. I loved Alias Grace when I read it years ago – you’ve prompted me to a re-read! I’m rereading The Blue Castle at the moment — Valancy’s ability to get away from a life that isn’t serving her well is such a relief to read, since I can’t get away from this rotten presidency and this fucked-up (pardon the language) country. I’m anticipating needing lots of comfort reads this February. I got stuck with Alias Grace once again. Gah, I still haven’t read the whole thing, even though whenever I do read from it, I like it. Maybe I should ask Susan from The Cue Card for a read-along. 😉 I love the sound of the Thanh: poverty, politics, and prostitutes! The Thanh was definitely an interesting look into Vietnam at a different time, and it’s not too dark and heavy despite the oppression and poverty. I love the idea of the commenters/readers here, who haven’t gotten on with Alias Grace the first time or who are looking to reread organizing to reread, based on a reread organized by other rereaders. Hee. One book leads to another, to another, to…..
Re: debuts and rereads. I’m working on Mavis Gallant’s debut collection of stories right now, The Other Side of Paris. So far, the stories remind me a lot of Alice Munro’s stories. And for rereading :Naomi Novik’s Temeraire series (which begins with His Majesty’s Dragon, the book designed to turn all non-dragon fans into dragon-fans, IMO); I’m rereading the second book now, and plan to continue through the 4th, when the books in the series will become fresh reads for me (I think there are 8 in total, it’s complete now). I would almost guarantee it, except in severe cases, in which anti-dragon sentiment renders one immovable on the point. *winks* A dragon story I’ve been seriously nudged towards recently is Seraphina; have you (or maybe your daughter) read that one? I haven’t read the other books, but I loved Alias Grace. The other two are much more recent! If you haven’t read it yet, then, yes, you must! I may have to give Alias Grace a try – everyone seems so positive about it. I hate to say this (it feels so unpatriotic as a Canadian to admit it) but I have NEVER been able to stomach Atwood’s writing. sorry 😦 I blame high school English – we had to read Surfacing, and I HATED it. I love a good re-read. You’ve mentioned some good ones. (The Emily books!) But, yes to Grace. Timely. And I remember loving it. Thx! Sensible decision Naomi. And I must say that I have Alias Grace on my TBRR LIST ie to be re-read. I’d love to see what I think now that I’ve rad a lot of historical fiction as I hadn’t read more much before then. I haven’t read much Atwood since I started blogging which is a shame as I loved her through the 1990s and early 2000s. That’s about the same time I was reading many of her books. I really would like to re-read all of those now – most of them are muddled up in my head. All but Alias Grace and The Handmaid’s Tale -those were my favourites. More recently, but still pre-blog, I read the Maddaddam Trilogy, and really enjoyed it! Yes, mine too, Naomi. I should at least read Oryx and Crake to try to catch up. I saw her in person – an in conversation event – many years ago. She has some intellect, that’s for sure. Alias Grace is coming to Netflix?!? That’s awesome! I loved that book.